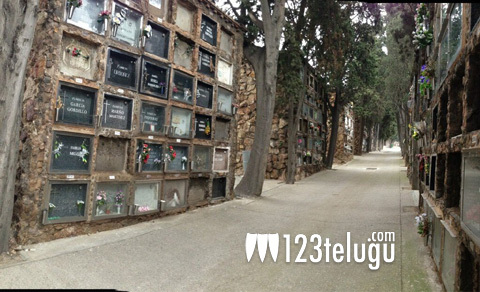 Puri visits a graveyard in Spain! Puri Jagannadh has been exploring quite a few locales in Barcelona and in the process he got the shock of his life when he visited a graveyard. “Spain Graveyard looking like a library…Bodies kept in racks,” he posted on Twitter and posted couple of pictures. He’s currently shooting for his upcoming film Iddharammayilatho in Barcelona and for the past few days the film was shot in several locations including The Barcelona Cathedral and The Palau de la Música Catalana, a concert hall. Allu Arjun is playing the lead role in this romantic and action entertainer. Amala Paul and Catherine Tresa are the lead actresses. Bandla Ganesh is producing the film. Amol Rathod is the cinematographer and Devi Sri Prasad is the music director.